I think the thing that I love most about Amazon is that there always seems to be a new opportunity to make great money with Amazon. That’s why I was blown away when Amazon reached out to us here at Jungle Scout and asked if we could partner up with them to help them get sellers excited about the huge Amazon Renewed program that they’ve just rolled out. This guide covers the basics of what Amazon Renewed is, how to get started, what’s required from sellers, and how you can succeed selling certified refurbished goods. Products on Amazon Renewed are either used or unused products that are refurbished to like new working condition by qualified suppliers. These products are returned by customers who are no longer using them or want to upgrade to the latest version. At times these are customer returns that have hardly been used at all. Qualified suppliers on Amazon Rewewed professional inspect, test, and clean the devices so they look and work like new before repackaging them with accessories. 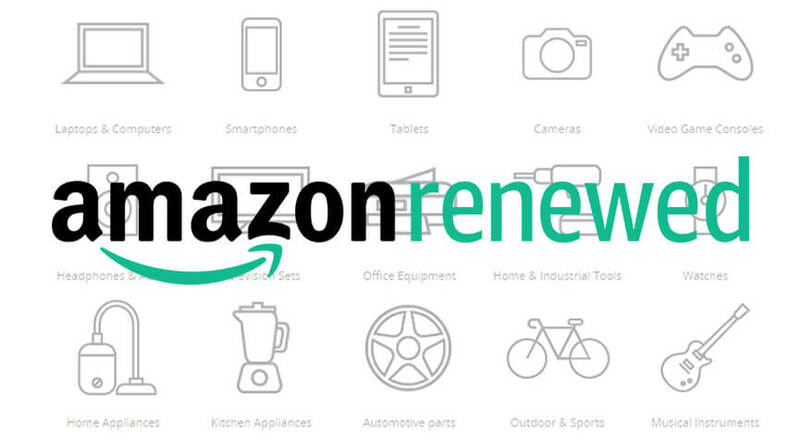 Why sell refurbished products on Amazon Renewed? There are quite a few benefits to selling certified refurbished products on Amazon Renewed. Join an exclusive program and avoid competition. Not just any seller can sell certified refurbished products on Amazon. Only sellers that meets Amazon’s quality criteria and can consistently sell like new products are permitted to sell on Amazon Renewed. This creates huge opportunities for the few who are accepted. Sell to millions of loyal Amazon customers. Enjoy high customer trust due to the stringent customer satisfaction goals that are in place to measure seller performance. As of 2018, Amazon’s US marketplace alone receives close to 2.5 billion visitors each month with conversion rates in the double digits. 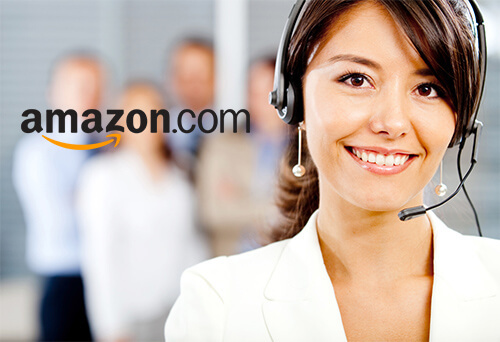 Leverage Amazon’s proven e-commerce solutions. Amazon’s selling tools and fulfillment capabilities enables you to sell like new products to customers across Amazon’s global marketplaces. Grow your sales by selling certified refurbished, pre-owned, and open-box products. This method of selling compliments practices you may already be employing with your business such as wholesaling and private label. What certified refurbished products can you sell online on Amazon Renewed? 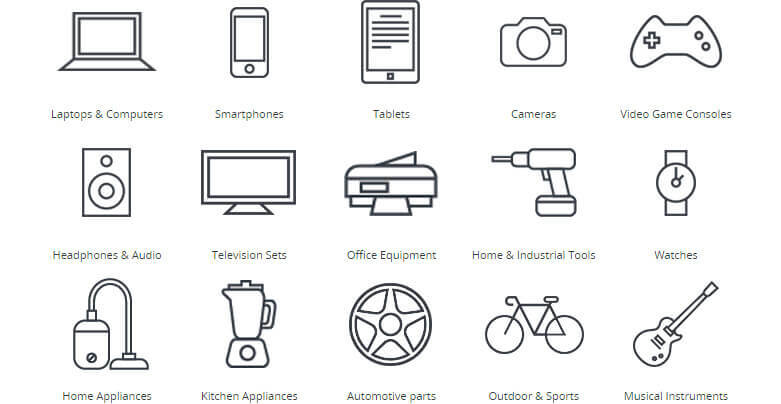 Here are the product categories to certified refurbished product sellers on Amazon. How do you sell refurbished products on Amazon Renewed? Here’s a quick guide to selling certified refurbished products via Amazon Renewed. 1 – Register to become an Amazon seller. You need to first be a registered seller on Amazon to be able to sell certified refurbished, pre-owned and open-box products on Amazon Renewed. If you are new to selling on Amazon, you can sign up for a new seller account by going to Amazon seller central. 2 – Use Jungle Scout to find product opportunities. In order to qualify to sell for Amazon Renewed, you’ll need to submit invoices showing a minimum of 500 refurbished units or a total value of $50,000 in qualifying refurbished purchases in the previous 90 days from the date of the application. Of course, you don’t want to just purchase anything. You’ll need to know what’s actually in demand and what sort of competition to expect. The easiest way to do this is with Jungle Scout’s Web App using either The Product Database feature or Niche Hunter to find high demand and low competition products. Liquidation companies. Some third party companies buy excess merchandise from manufacturers (see below), and do the refurbishing themselves, then sell those goods to distributors and retailers. Manufacturers. Some manufacturers sell refurbished goods directly to third party sellers and retailers. Alibaba. If you’re already a fan of the private label process, then you probably won’t be surprised to learn that you can buy wholesale certified refurbished goods on Alibaba, too. 4- Qualify to sell on Amazon Renewed. First, you must be able to supply invoices showing a minimum of 500 refurbished units OR a total value of $50,000 in qualifying refurbished purchases in the previous 90 days from the date of the application. Items with a selling price of $15 or less do not count towards the 500 refurbished units. You may black-out either the unit or dollar amount on the invoices, but not both. If you are an existing seller on Amazon, we require an order defect rate of 0.8% or less, with a minimum 700 orders in the trailing 90 days. Also, if you want permission to list factory refurbished items (with no manufacturer warranty) you need to submit a minimum of 8 images of a sample unit for product and packaging review (box in which the product will ship, inside packaging and padding, product from top and bottom, product from all four sides). Your company must provide a minimum 90-day warranty on all of your Certified Refurbished products. Finally, your refurbished selection includes products that are not Apple or Samsung products, or factory-refurbished computers (with no manufacturer warranty). To maintain a high customer experience bar, Amazon is no longer accepting Apple or Samsung refurbished resellers or factory-refurbished computer resellers. 5 – Start selling and grow your business. Once you get past the application process, you can start listing all of your Certified Refurbished, pre-owned, and open box products as well as adding offers to existing pages. Get help with Amazon Renewed from Amazon. Initial start-up support from Amazon’s onboarding team to help you get your storefront launched. This includes inventory loading, live personalized raining and an expedited storefront launch. Use of feed, spreadsheets, and other tools to streamline the inventory loading process from standard condition to CR condtion. Protect your brand and increase revenue back to Sound United. Sell your products direct to consumer protecting the pricing you wan tot offer on your products. Run Best Deals on your Certified Refurbished products (20% of NEW products listing and 5k of product inventory). Run as many as you wish through 2018, one of the benefits of having an account manager. Tips to drive sales with Amazon Renewed. Additionally, here’s a few tips straight from Amazon on how to succeed with the Amazon Renewed program. Price your products at least 20% off the New Price. Add at least 15 skus to get started. Leverage Amazon’s Sponsored Products advertising program to drive traffic to newly created Certified Refurbished ASINs. Certified Refurbished recommends that you consider manual and automatic campaigns (Example: “iPhones” or “kitchen mixers”). For manual campaigns, it is best to use broad keywords for driving initial traffic to an ASIN. Get started with Amazon Renewed today! When you’re ready to jump in and start making profits, follow the link below to get set up with Amazon.